Transfer Santiago offers transfers from any point of the commune of Buin, in Santiago de Chile, to the Comodoro Arturo Merino Benitez International Airport (Pudahuel) (and other destinations according to the needs of our customers). For this, it has a fleet of Suv and Minivan of luxury, being able to transfer from 1 to unlimited passengers (check availability). In the fleet there are vehicles with Wifi, Full Equipment, Air conditioning, with committed insurance. as well as the possibility of paying directly to the driver in cash or with a credit or debit card. Transfer Santiago offers transfers from any point of the La Granja commune, in Santiago de Chile, to the Comodoro Arturo Merino Benitez International Airport (Pudahuel) (and other destinations according to the needs of our customers). For this, it has a fleet of Suv and Minivan of luxury, being able to transfer from 1 to unlimited passengers (check availability). In the fleet there are vehicles with Wifi, Full Equipment, Air conditioning, with committed insurance. as well as the possibility of paying directly to the driver in cash or with a credit or debit card. Transfer Santiago offers transfers from any point in the La Pintana district, in Santiago de Chile, to the Comodoro Arturo Merino Benitez International Airport (Pudahuel) (and other destinations according to the needs of our customers). For this, it has a fleet of Suv and Minivan of luxury, being able to transfer from 1 to unlimited passengers (check availability). In the fleet there are vehicles with Wifi, Full Equipment, Air conditioning, with committed insurance. as well as the possibility of paying directly to the driver in cash or with a credit or debit card. Transfer Santiago offers transfers from any point in the district of Lo Espejo, in Santiago de Chile, to the Comodoro Arturo Merino Benitez International Airport (Pudahuel) (and other destinations according to the needs of our customers). For this, it has a fleet of Suv and Minivan of luxury, being able to transfer from 1 to unlimited passengers (check availability). In the fleet there are vehicles with Wifi, Full Equipment, Air conditioning, with committed insurance. as well as the possibility of paying directly to the driver in cash or with a credit or debit card. Transfer Santiago offers transfers from any point in the municipality of Maipú, in Santiago de Chile, to the Comodoro Arturo Merino Benitez International Airport (Pudahuel) (and other destinations according to the needs of our customers). For this, it has a fleet of Suv and Minivan of luxury, being able to transfer from 1 to unlimited passengers (check availability). In the fleet there are vehicles with Wifi, Full Equipment, Air conditioning, with committed insurance. as well as the possibility of paying directly to the driver in cash or with a credit or debit card. Transfer Santiago offers transfers from any point in the municipality of Pedro Aguirre Cerda (PAC), in Santiago de Chile, to the Comodoro Arturo Merino Benitez International Airport (Pudahuel) (and other destinations according to the needs of our customers). For this, it has a fleet of Suv and Minivan of luxury, being able to transfer from 1 to unlimited passengers (check availability). In the fleet there are vehicles with Wifi, Full Equipment, Air conditioning, with committed insurance. as well as the possibility of paying directly to the driver in cash or with a credit or debit card. 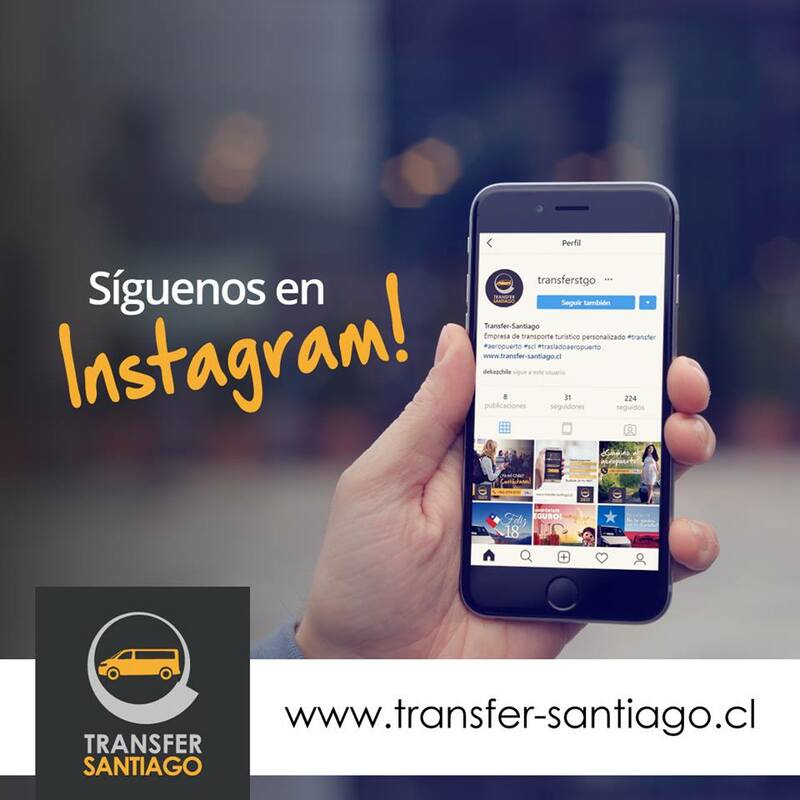 Transfer Santiago offers transfers from any point in the municipality of San Bernardo, in Santiago de Chile, to the Comodoro Arturo Merino Benitez International Airport (Pudahuel) (and other destinations according to the needs of our customers). For this, it has a fleet of Suv and Minivan of luxury, being able to transfer from 1 to unlimited passengers (check availability). In the fleet there are vehicles with Wifi, Full Equipment, Air conditioning, with committed insurance. as well as the possibility of paying directly to the driver in cash or with a credit or debit card. Transfer Santiago offers transfers from any point in the San Joaquín community, in Santiago de Chile, to the Comodoro Arturo Merino Benitez International Airport (Pudahuel) (and other destinations according to the needs of our customers). For this, it has a fleet of Suv and Minivan of luxury, being able to transfer from 1 to unlimited passengers (check availability). In the fleet there are vehicles with Wifi, Full Equipment, Air conditioning, with committed insurance. as well as the possibility of paying directly to the driver in cash or with a credit or debit card. Transfer Santiago offers transfers from any point of the San Miguel district, in Santiago de Chile, to the Comodoro Arturo Merino Benitez International Airport (Pudahuel) (and other destinations according to the needs of our customers). For this, it has a fleet of Suv and Minivan of luxury, being able to transfer from 1 to unlimited passengers (check availability). In the fleet there are vehicles with Wifi, Full Equipment, Air conditioning, with committed insurance. as well as the possibility of paying directly to the driver in cash or with a credit or debit card. Transfer Santiago offers transfers from any point of the San Ramón district, in Santiago de Chile, to the Comodoro Arturo Merino Benitez International Airport (Pudahuel) (and other destinations according to the needs of our customers). For this, it has a fleet of Suv and Minivan of luxury, being able to transfer from 1 to unlimited passengers (check availability). In the fleet there are vehicles with Wifi, Full Equipment, Air conditioning, with committed insurance. as well as the possibility of paying directly to the driver in cash or with a credit or debit card.